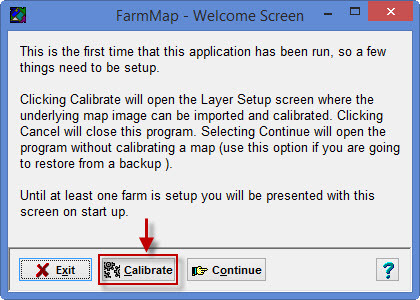 When you are using FarmMap for the first time, or using a new map, you will need to calibrate your map. Exit out of the scale import and reference card which appears on this screen. 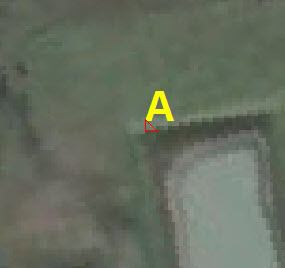 To import your map image go to the top left-hand side of the screen and click on the yellow folder (Browse). To calibrate an image, select two easily defined points on the imported image. 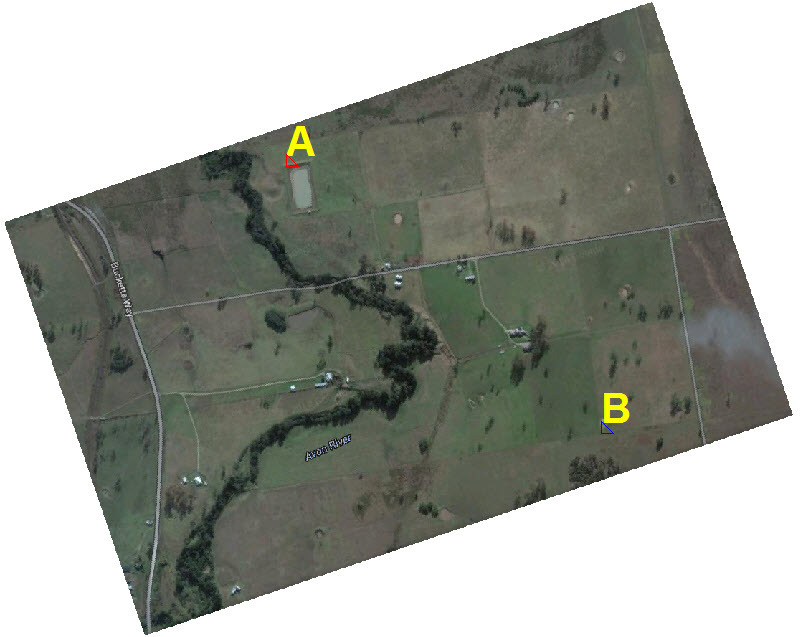 Note: Two easily defined points might be a road intersection, a shed, large dam. The more accurate these points are the more accurately your map will be calibrated. Follow the steps below to complete calibration. Click the (A) icon in tool bar. Click map on exact spot where A would be. Cancel the zoom (click the cancel zoom icon located on tool bar). On the right hand side of the screen, select the Decimal, D.M.S tab or Map Grid Ref. Enter coordinate information in space provided. Note: Google Earth Pro or Google Maps are a source of getting your coordinates but are not recommended by Practical Systems as they are generally not accurate enough. Do not enter your Latitude as a negative amount. During the calibration process, your map should not rotate any more than 5 degrees. In this case, check your working again and make sure the latitude and longitude are correct for each point. You may need to start again and select two more points. Phone Practical Systems if you require assistance with this. Select Yes in the following messages that will pop up, providing it states that the calibrations will rotate the image less than 5 degrees.